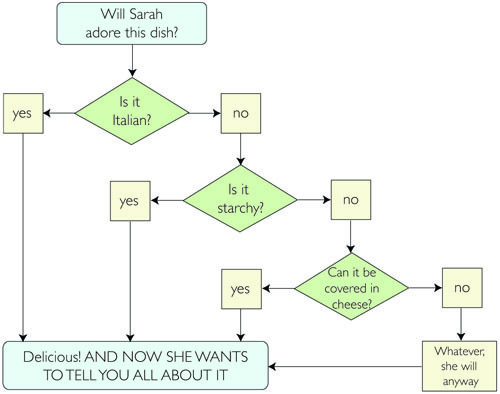 I think anyone who’s read my food posts on this blog would be unsurprised by the following assessment of my tastes. And today, folks, is a double, if not triple whammy: homemade ricotta gnocchi. Italian, starchy, and just begging to be covered in cheese. 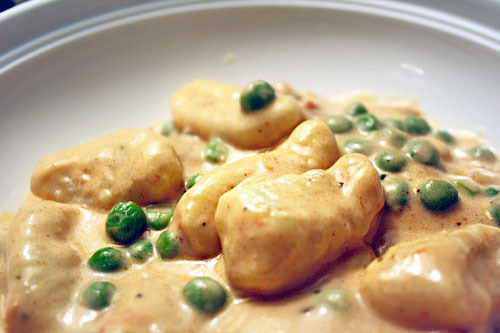 I first featured gnocchi in this throw-it-together-dish, but in that case, they were store-bought potato gnocchi. And those are tasty, for sure – but we barely get three servings out of a box (compared to more than four servings out of a dollar box of spaghetti noodles). Because store-bought gnocchi cost more than regular noodles for less food, they’re not in our normal meal rotation. 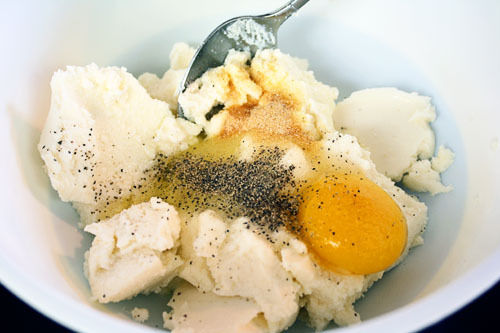 That’s why I was excited to find this recipe, which claims you can make gnocchi with ricotta cheese, a cup or two of flour, and an egg. Wait, really? Because I always thought homemade gnocchi would involve cooking and mashing potatoes, and if I’m going to that trouble, we are just going to have mashed potatoes. But no! 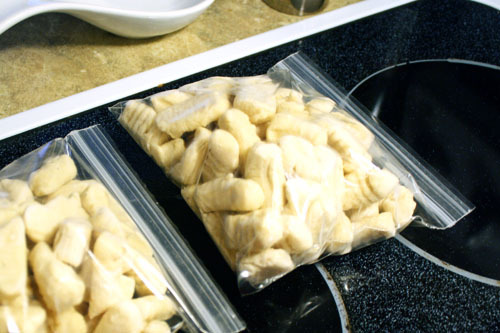 You can make delicious cheesy gnocchi with no potato mashing. Well, this I had to try. 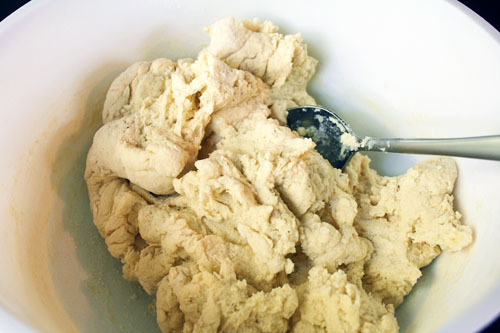 Then mixed that up and added flour, a little at a time, until I created a soft dough. The source says it took 1.5 cups of flour, but for me I do think it was closer to 2 cups, plus more while kneading it on wax paper. And here’s where things took a bizarre turn. For once, I actually followed the recipe, using all the same amounts as the source recipe. 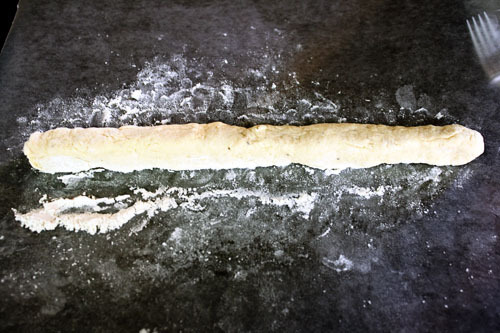 And yet she claims you take a sixth of that dough, roll it out into a “snake”, and cut them up into gnocchi. For some reason when I tried that, I found that GOOD GRIEF A SIXTH IS A LOT OF DOUGH. I have no idea why I seemed to have more dough than her (the extra bit of flour couldn’t account for all of it), but I ended up taking small handfuls of the dough instead in order to have a manageable amount to roll out. 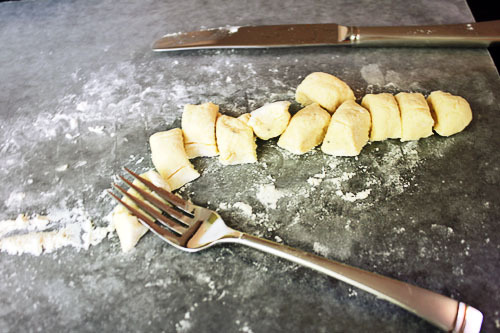 And roll them on the back of the fork, to make the classic ridges in the gnocchi dumplings. 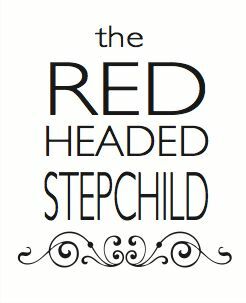 Then I repeated those steps OVER AND OVER. Seriously, it’s rare that I am annoyed that a recipe makes too much food, but I honestly started in the daylight and wasn’t done rolling out gnocchi until it was dark. I think maybe my expectations were just high for “fast and easy” as the source recipe states? Because I don’t really understand why it took forever, exactly. 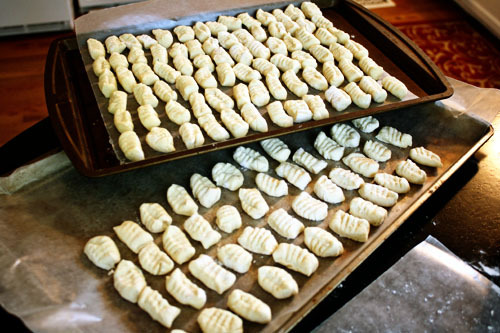 I think I spent about six months rolling out gnocchi. Just an estimation. Which... just looks sort of anticlimactic for how long that took, actually. Each of those (frosty, therefore foggy and blurry) bags holds three generous servings or four “lunch-sized” servings, if you are a small-entrée lunch person like me. Was it worth it to make my own gnocchi? It definitely took longer than I expected, but it wasn’t hard. And it was definitely cheaper than store-bought. I’m glad I made them once and know that they can be prepared so cheaply. I’ll probably make them again when I’m in the mood for working with my hands in the kitchen. As for how to prepare them? First, bring some water to a rolling boil, then add the gnocchi. Once the water starts boiling again, let the gnocchi boil for about five minutes or until they all float. They’re much more fragile than the store-bought gnocchi I’ve had, so some may break up, but overall they hold their shape. Then, may I humbly suggest serving them with spinach and tomato cream sauce? Or, perhaps vodka sauce and peas? You can also straight-up cover them in cheese. And if you do, tell me so I can come over for dinner. So even if you can’t find gnocchi at your local small-town supermarket, you can easily make them with a little time – and save yourself a few dollars too. Enjoy!